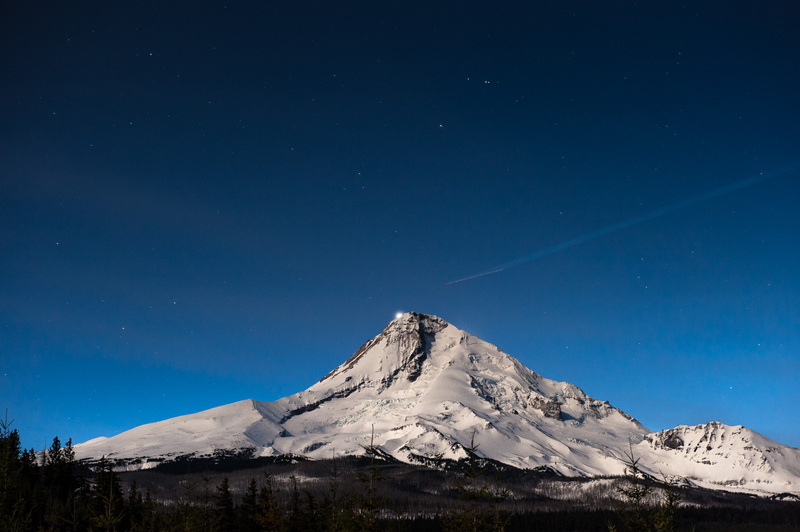 Nightime photo of Mt Hood with jet trails and backlit by Venus. Night time photo of volcano Mt. Hood, Oregon with jet trails and back lit by Venus.